I am thrilled to be teaming up with a great group of bloggers to bring you a collaborative Blog Hop for Christmas 2012 — Focus on the Nativity. To our family, the Nativity is the most important part of Christmas, and the whole reason we celebrate. While we do still give the kids gifts from Santa, and enjoy watching Frosty the Snowman and Rudolph the Red-Nosed Reindeer, we try to ensure the majority of the month of December we spend focused on the TRUE meaning of Christmas. We use the devotion book The Advent Jesse Tree to read from each night as we hang an ornament on the tree. We made ornaments to go along with the devotional this year from microwave salt dough. We own several kids’ Nativity play sets and the kids really enjoy them. My favorite moment so far was a few minutes after we got the play sets out this year. The angel walked over to the manger where baby Jesus lay, and in a breathy whisper said, “Isn’t he sweet?” Yes, Lilah, he most definitely is!! We really enjoy the GrapeVine Bible Studies. 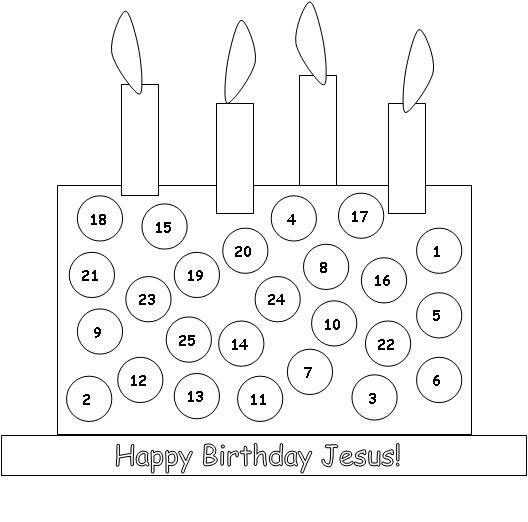 We used the Beginner Birth of Jesus last year with the kids when they were 2 and 3-1/2 and are using it again with them at 3 and 4-1/2 this year. It is designed for kids 5 and up, but we’ve modified it as needed and it’s worked great for us! If your kids like to draw, they’ll love these “stick figuring through the Bible” studies!! Use code “Fall2012” to save 20%. Another Bible Study with daily crafts is Truth in the Tinsel. Read a scripture passage daily and make a related ornament from Truth in the Tinsel: An Advent Experience for Little Hands. This year there’s also an option to buy printable ornaments. The Advent study is available in Spanish here and there is also a curriculum designed for use at church here! There are LOTS of great Christmas books out there focused on the manger. Stay tuned next week for a whole post about our favorites! Zondervan publishes several we really like!! We love reading Luke 2 from the Bible. My favorite is hearing it from the classic King James Version, but we read it from all different translations, including the kids’ Bibles. We just love this printable from Making Learning Fun! The kids have to find the number and put a sticker on for each day of December. It’s a good way to incorporate a little math into your day, too! 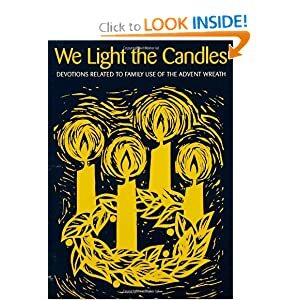 We created an Advent Wreath for our kitchen table and each night at dinner, we light the candle(s) and read a devotion from We Light the Candles: Devotions Related to Family Use of the Advent Wreath. We got this calendar last year and the kids get to add one person or animal to the Nativity scene each day. Here are all the blogs participating in Focus on the Nativity! You can also click the posts in the linky to see all the great Nativity posts being shared!! Disclosure: Some of the links in this post are affiliate links. I only accept and review products on my blog that interest me, my family, and that I think would truly interest and benefit you, my readers. All posts on this blog reflect my personal opinions and are not swayed by compensation and/or free products. Wonderful post and linky. So happy when parents teach their children about the Nativity. I hope you have a very Merry Christmas. This is really awesome.Thank you for sharing all your ideas! !